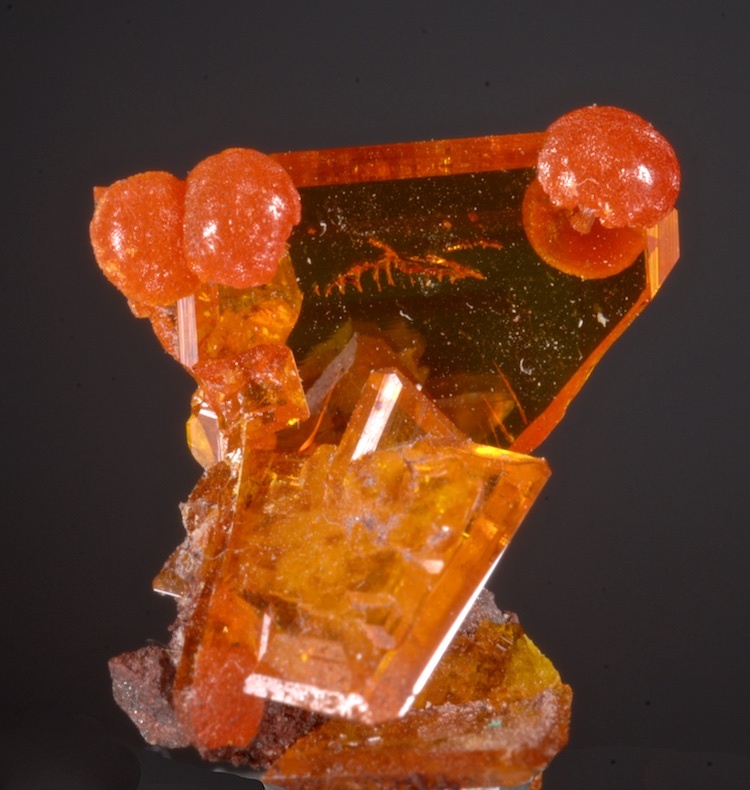 Clear widow-pane Wulfenite crystals are the matrix for Mimetite in bright red balls. A small but striking thumbnail from Rowley mine collected during the final efforts there before it was shut down. Delicate and with brilliant color there were not many found like this, and the habit is unique to this one occurrence. 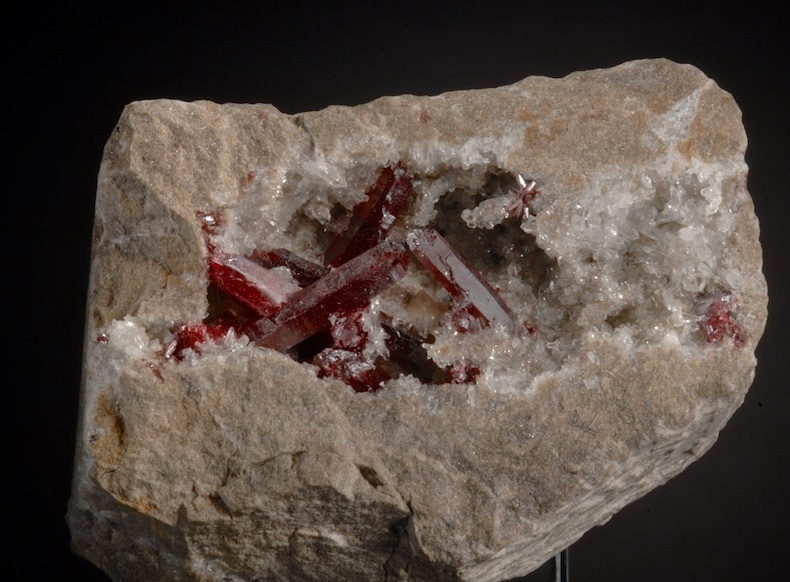 For many collectors, the most desirable Barites (Baryte) are the rare, classic Romanian specimens colored bright red by Included Realgar. 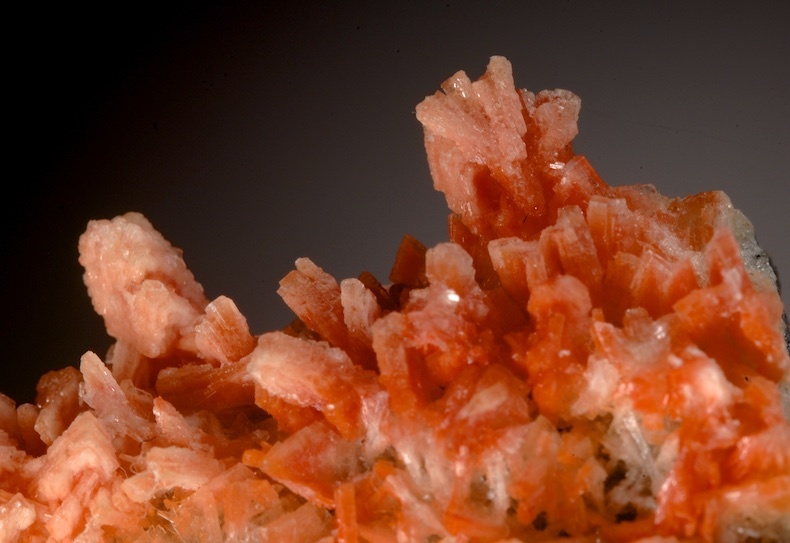 This is a choice old specimen in excellent condition with delicate orange-red Barites on contrasting matrix. 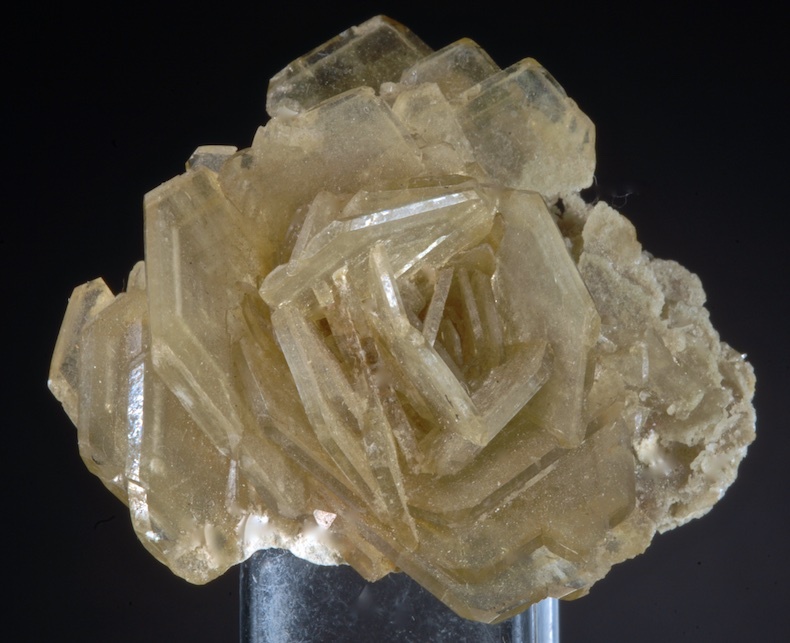 The crystals show sheaf-like bundles and rosettes well separated from the matrix and free standing. Crystallized on both sides this has very strong display impact. Almost impossible to find today even average specimens have become very expensive. 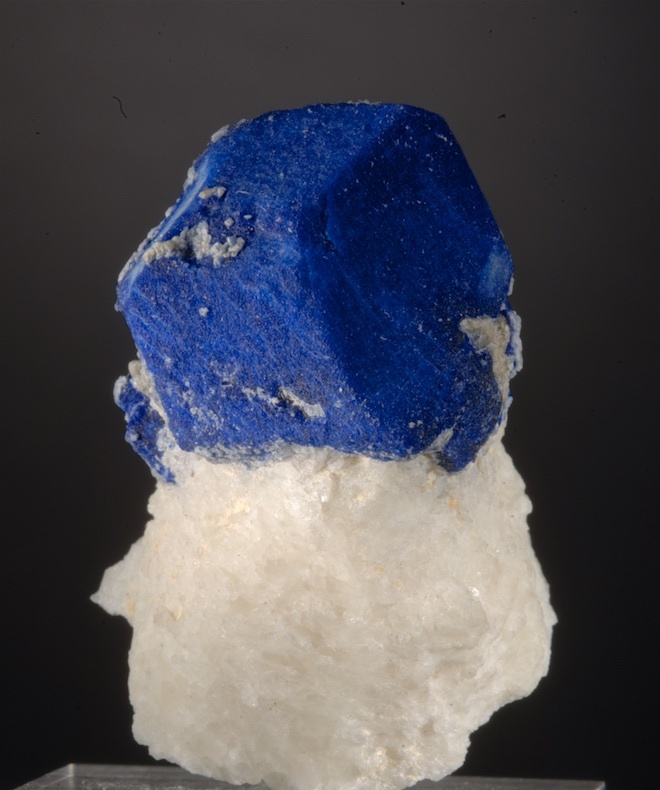 A brilliant blue crystal of Lazurite nicely perched on a Calcite matrix. 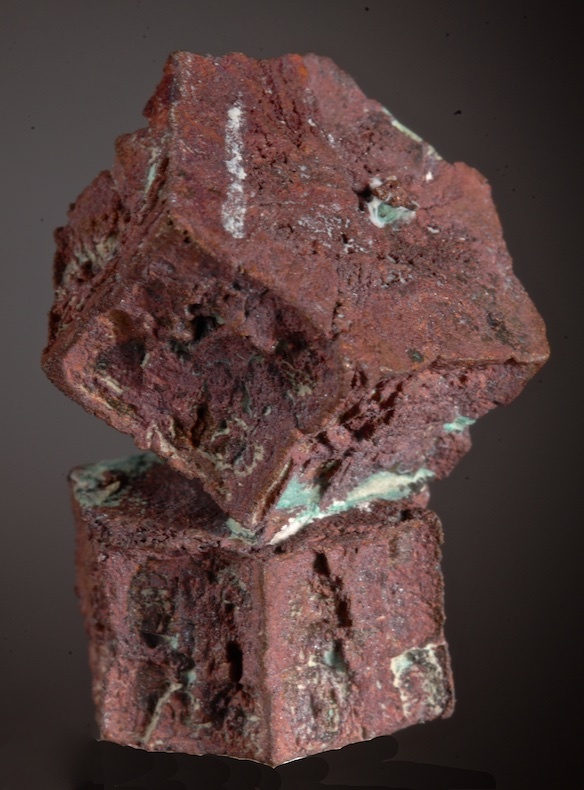 This is quite a fine Lazurite but it is in fact much less common, it is a partial pseudomorph of a Sodalite crystal. 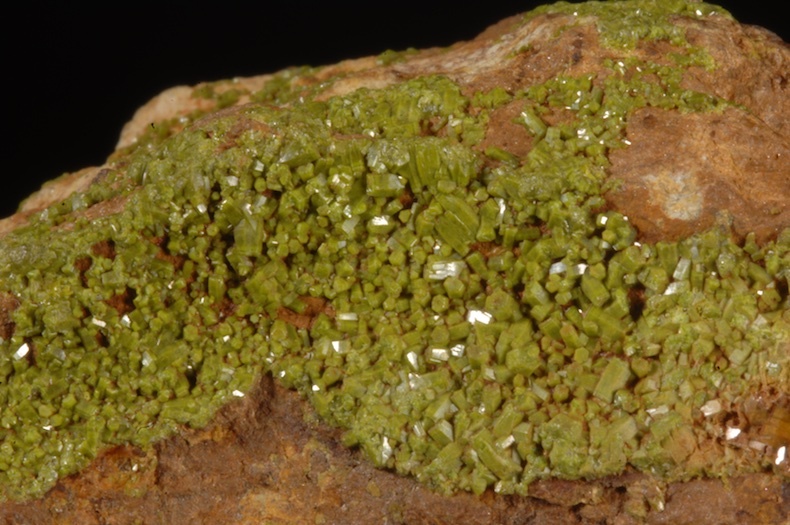 Both minerals are known to pseudomorph each other but can have similar crystal shapes so it is hard to detect. On this crystal there is some small zones where the brilliant blue is only partly covering the whitish to more pale blue interior. The core of the crystal can be seen and is still Sodalite, This is vividly Fluorescent in those spots but the exterior blue Lazulite has no response. The crystal is up to 2.7 CM across and contrasts perfectly with the matrix. A choice crystal and intense blue pseudo. 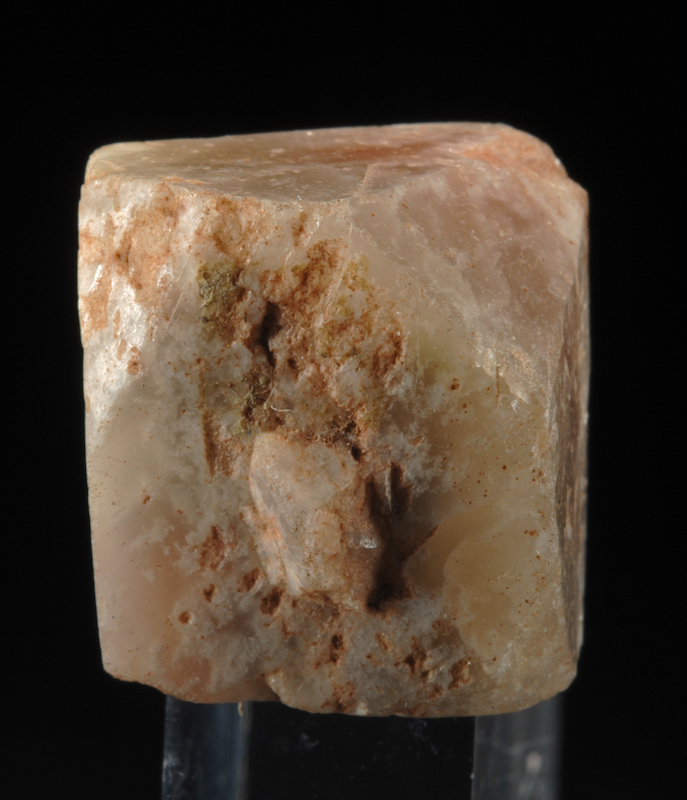 A sharp and complete crystal of the very rare "pseudocubic" habit Quartz, which is also very large for the form. The form is more correctly a skewed cube with overdeveloped rhombohedral faces that are not at 90 degrees but can look like it from several angles. No damage. This was incorrectly attributed to a small Arizona find but it is now confirmed as a very choice New Mexican specimen.